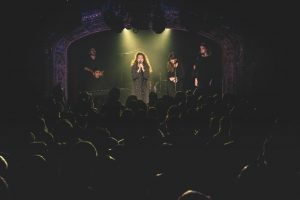 After joining the likes of Sam Smith, Ella Eyre and George Ezra as MTV’s Unsigned Artist in 2014, Marie Naffah has been busy: from selling out the Lexington to releasing her debut single ‘Let Me Wilt’, shortly followed by its very own music video. Not only is she musically-gifted, but she also invests a serious amount of thought into what she creates and produces. In response to her Grandmother losing her sight, Marie began the project Blindfold in an attempt to tackle the stigma behind disability within the music industry. The project involved creating, performing and recording music with a group of blind musicians, as well as a short documentary that gained national coverage, podcasts and eventually even led to her providing a TedTalk on the issue in 2016. With all these accomplishments to her name, I had imagined her performance to be typical of those heavily praised up-and-coming artists in a similar boat to her own: overly-confident and detached from the crowd. However, everything about the gig and Marie as an artist couldn’t have been further from this. She was gracious and humble: ‘This is the best day of my life’, she gushed several times. The coy and open anecdotes that were peppered between songs built a rapport between the audience as a whole and those on stage. Considering the performers could have easily felt detached from the crowd during the gig, with the stage being tucked away in the embossed platform of the Omeara’s rococo-esque mini-theatre. Declared the ‘venue of dreams’ by Marie herself, the Omeara provided a beautiful backdrop for the recent gig releasing her debut single, ‘Let Me Wilt’. The evening was opened by Millie Upton and Jonah Hauer-King, who set the vocally-flawless scene perfectly ahead of the main performance. By the time Marie, accompanied by a guitarist, two backing singers, drums and pianist, made their way onto the stage, the relatively small room was packed and had been hushed to a quiet mumble. Whilst her floaty, makeshift performance style was akin to Florence and The Machine, her voice and music were entirely of her own character. Influenced by the likes of Amy Winehouse and Aretha Franklin, the soulful elements of her music and voice were undeniable. However, after recording several songs in Indiana, the Americana influences were apparent in the various bluesy guitar riffs and keyboard solos, courtesy of Kevin Satizabal, a pianist she met during her Blindfold project, who now performs with Marie live at all of her gigs. 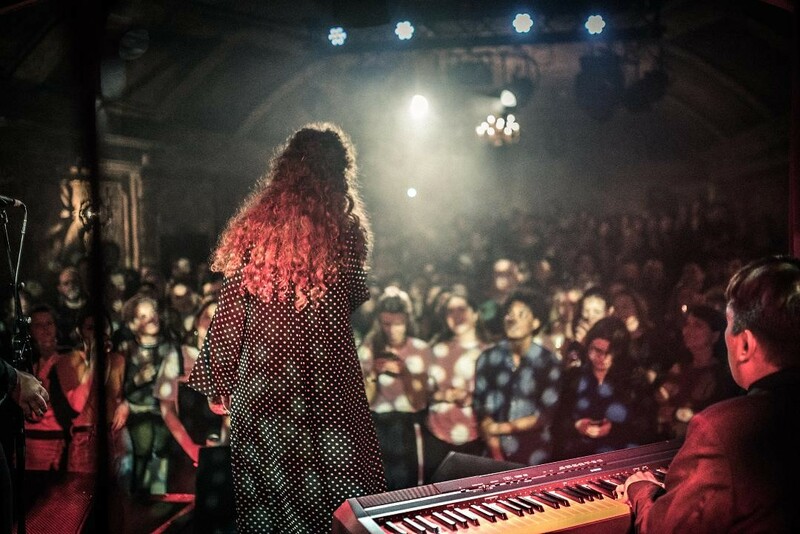 For a drizzly Monday night in central London, the intimate performance and charming music created an atmosphere that was uplifting to say the least. It was because of this that me and many other attendees were sincerely disappointed when, after only four songs, the gig was over before it had really begun. I’m excited to see one of her live performances once she is a fully-formed artist with a more fleshed-out discography. Although, considering this is the only negative I could take from the night, that’s pretty good going. So, if you like uplifting, soulful music with thoughtful lyrics, look no further. Find Marie Naffah on Spotify, Apple Music and SoundCloud.